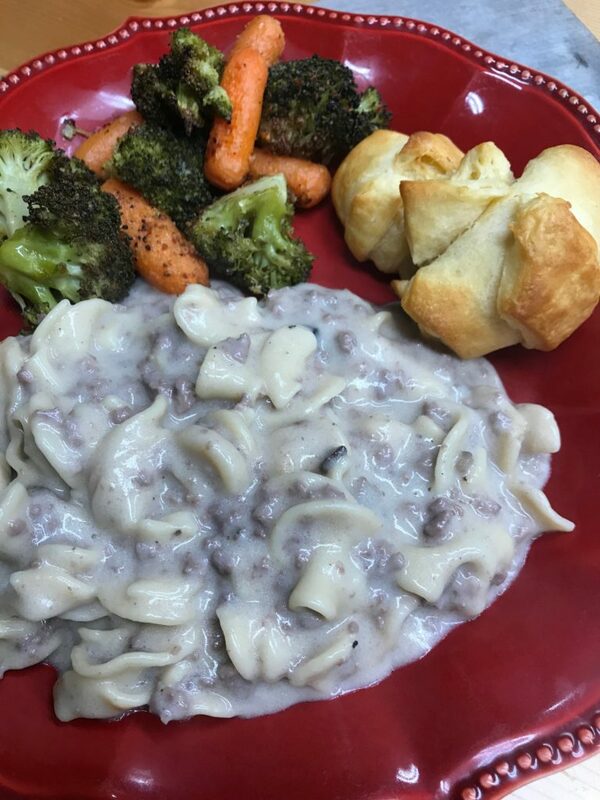 Beef stroganoff was one of my favorite meals growing up. This version is quick and easy, creamy, and will zap you back to your childhood dinner table. If you don’t have an Instant Pot this is the model that I have. I use it ALL.THE.TIME. This is where I added a soup can full of water. I don’t think you *need* the extra water – but 1- I wanted to avoid the burn message, and 2- the additional water made the dish a little saucier. 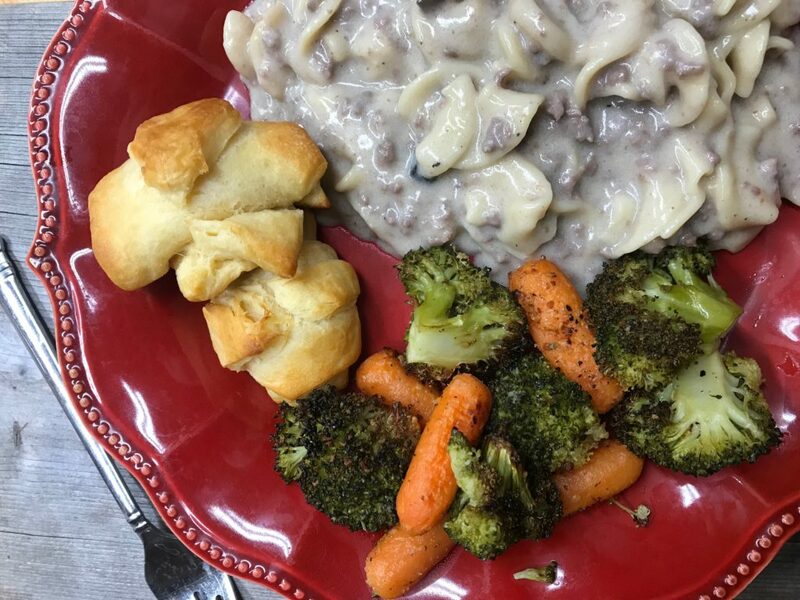 I would add the water again next time – but if you prefer a less saucy stroganoff, you could probably leave it out. Place the lid on your Instant Pot, and set to sealing. Select Manual and set for 8 minutes. Allow a natural release of 4 minutes, and then do a quick release. Open the lid and stir in the sour cream.